At Options Skills, we deliver two step NVQ Level 2 Plumbing courses, designed to provide you with the skills and knowledge needed to enter the world of plumbing. Our plumbing courses have been developed to combine practical skills, theoretical knoweldge and on-site work experience. For further information, take a look at the NVQ Level 2 Plumbing Training Course page. 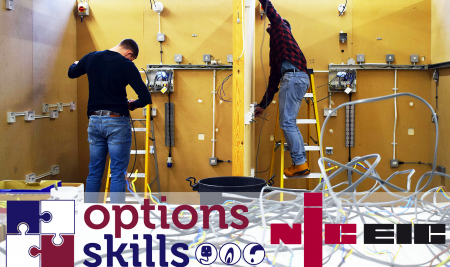 At Options Skills, we have developed our plumbing courses to suit trainees of all experience levels. Whether you're a new entrant to the industry, coming from a different industry or you have past experience of plumbing, we can help you gain your qualifications. From the first day, trainees will undertake practical work underpinned by theoretical knowledge to gain the experience they need to gain their NVQ Level 2. On either a full or part-time basis, students will complete eight weeks of centre led training delivered by experienced tutors. At our fully-equipped training centre, students will learn the essential basics of plumbing and more. This includes; domestic water systems, central heating systems and pipework fabrication techniques. 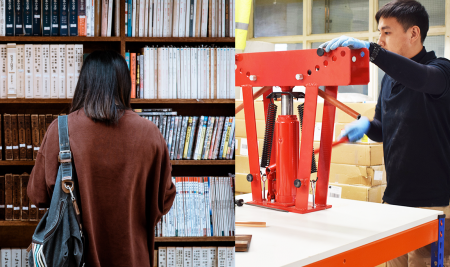 After students have completed their eight-weeks training, they will go out to work on-site, building a portfolio. On either an employed or subcontract/self-employed basis, trainees will gather written and photographic evidence of their work, along with testimonials from their employer/workplace provider. Following successful completion of their work experience, students will be awarded their NVQ Level 2 plumbing qualification. Once trainees have gained their NVQ Level 2, they are deemed competent to install and maintain plumbing systems in a domestic environment. They can then go out to work as a plumber on an employed or self-employed basis. Alternatively, some plumbers choose to expand on their knowledge and skill set and increase their earning potential by training for their ACS gas qualifications. For more information, visit our ACS Gas Training Course page.